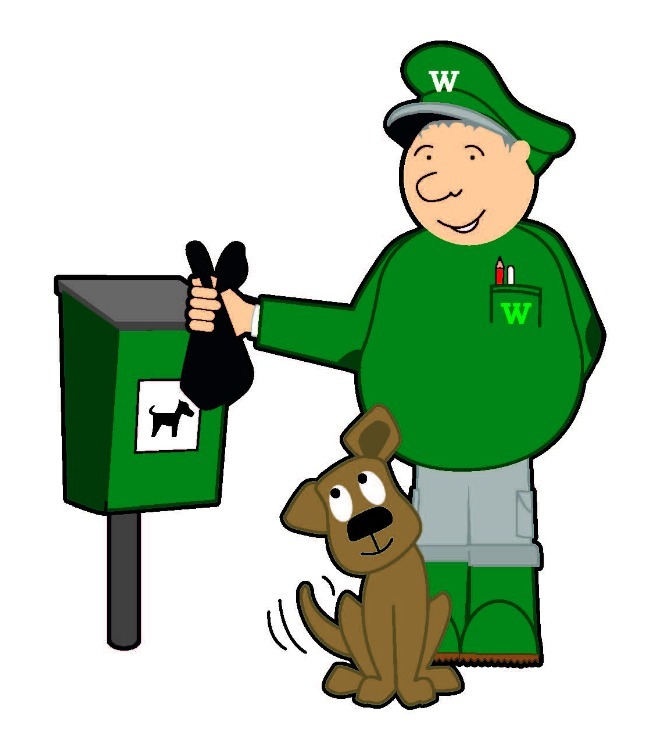 We’re very lucky in Wolverhampton, almost all of our park users sharing their visits to our beautiful parks with their four-legged friends are of the ‘responsible’ variety; and carry with them their own supplies of dog-waste (or dog-poop) bags. Wilf and Wolverhampton Parks love well-behaved dogs (and owners)! Our rangers often carry dog-waste bags and visitors are encouraged to stop them and ask for a bag if they have forgotten to bring one. Let’s face it, there’s nothing worse than clearing up after your own dog, just to discover you’ve carried the waste of another dog into your home, onto your floors and carpets. (Trust me, Mrs Wilf, never lets me forget about the last time that happened to me)! Dog waste should always be put in your nearest dog waste bin and not washed down the drain to contaminate local waterways. What can we do about dog poo? Be a good citizen; if you see an elderly or infirm dog-walker, you could offer to pick up their dogs waste and remove it … like Wilf. Help us increase awareness by volunteering in your local park to highlight the potential problems to dog walkers. This entry was posted in Uncategorized and tagged bins, collections, contribute, costs, do, dog, dog lovers, dog walkers, faeces, parks, poo, poop, refuse, sponsor, sponsorship, waste. Bookmark the permalink.